Acetabular labral tears are reported to be a major cause of hip dysfunction in young patients and a primary precursor to hip osteoarthritis. New technology is helping with improved identification of tears, however the time of injury to diagnosis is still on average 2.5 years, making long-term prognosis for hip preservation poor. Because of the lengthy delay many patients are still experiencing, the importance of early intervention cannot be overemphasized. Patient stories, the subjective reports of the individual, are incredibly important in aiding diagnosis of a hip labral tear. Knowing the morphological classification and common areas for tears in the hip labrum is also important, especially when it comes to identifying and managing adverse biomechanical stressors, such as anterior joint loading in the hip. Quite often in conservative treatment of hip labral injury, it is more important to change or retrain nonoptimal movement strategies rather than to issue exercise, strengthen, or elongate tissues. Up to 55% of active people with mechanical hip pain are typically confirmed as having acetabular hip labral (ALT) tears, which is affirmed across several research studies. And since 2003, the most commonly cited area of hip pain for labral tears is anterior, followed by lateral, then posterior. Suzuki, in 1986, described the acetabular labral tear arthroscopically for the first time, while Altenburg, in 1977, documented the first report of “nontraumatic tearing of the acetabular labrum,” according to Groh and Herrara 2009, Schmerl 2005, and Altenburg 1977. And yet, it is possible for an ALT to go undiagnosed and pain-free, since up to 96% of cadaver hips with a mean age of 78 years old are found to have ALT in the anterosuperior quadrant. A paucity of studies existed on hip disorders from 1977-2011, having located approximately 70 during early research on the topic. Plante et al (2011) and Margo et al (2003) confirm these findings, stating “there is no clear consensus on diagnosis or terminology” (concerning ALT). However, the increasing interest in ALT is a welcome phenomenon, and in a a second literature review from 2011 to present I located and reviewed over 100 new studies relating to ALT and its often comorbid sister condition, femoracetabular impingement (FAI). What Matters Most in Symptomology? There are some moderately reliable tests that have undergone scrutiny as to their sensitivity (SN) and specificity (SP) for clinical utility and validity; however, that is a discussion for another post. For now, what matters most in diagnosing ALT? Could There Be a Future Hip Labral Injury (HLI) Scale? The last symptom that can be incredibly telling (read: reveal the degree of functional impairment and degree of ALT), is night pain. Similar to the RTC impingement degrees of impairment (Stages l I, II, and III), ALT injury is similar. Once a patient’s sleep is interrupted, and is accompanied by any of the symptoms found above, the risk of their having an ALT or other intra-articular (internal) hip derangement is high. Night pain could then be characterized by the most impaired stage, Stage III, lending itself to the possibility of a future HLI Scale. The findings reported in this post are supported by more than two dozen references, which are a part of the literature review included in the Hip Labral Injury and Differential Diagnosis course that Ginger authored and teaches for Herman and Wallace Pelvic Rehabilitation Institute. 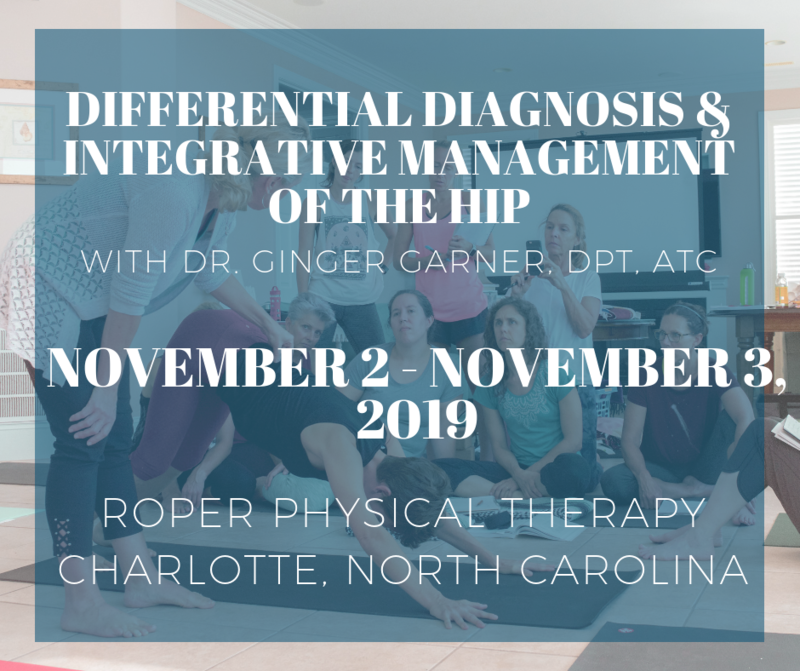 To learn more about nonoperative and operative hip labral and FAI management, check out faculty member Ginger Garner’s continuing education course on Extra-Articular Pelvic and Hip Labrum Injury: Differential Diagnosis and Integrative Management. The next opportunity to take the course is March of 2015 in Houston.